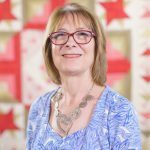 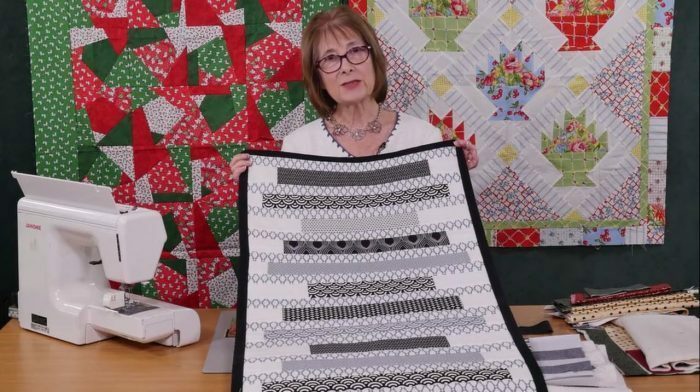 This lovely table runner was designed by Stof fabrics and was made in their Duo and MIni Duo fabric ranges; and Valerie shows you other options. 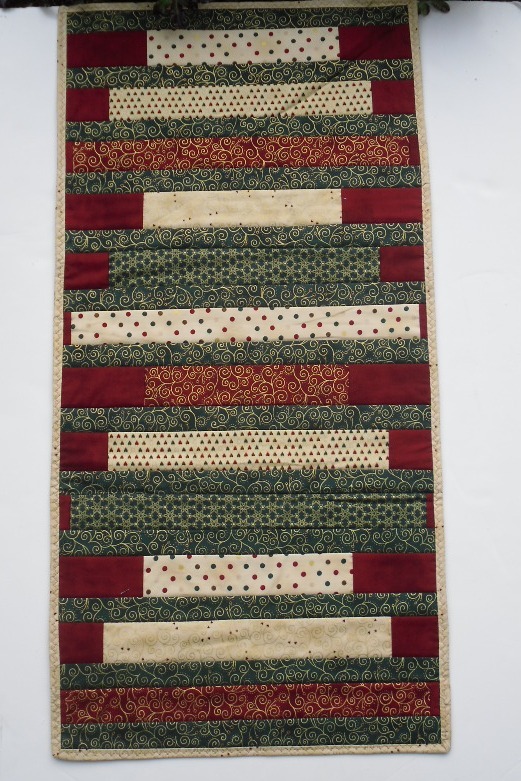 This delightful table runner uses very modern-style fabrics which need no additional enhancement with quilting, so was made with the stitch and flip method of construction – so both sides at once and then bind! 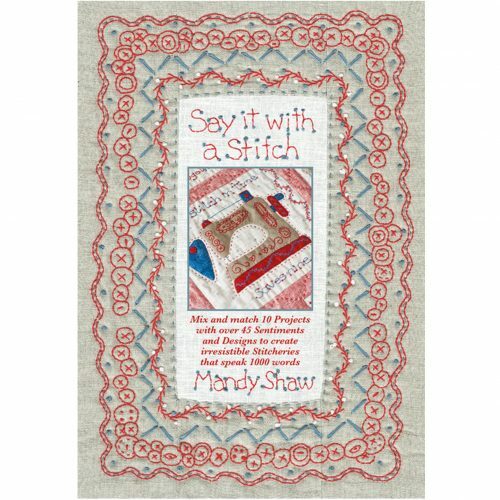 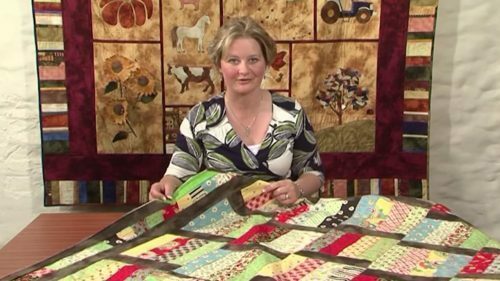 Valerie talks you through some of the things to think about when sewing a project of this size in this manner; pay attention to the back – it will be on show; think about the quilting patterns if you are using plainer fabrics (i.e. 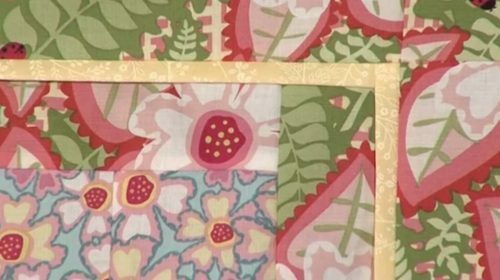 fabrics with less design on them) and also make sure that your stitching lines are straight. 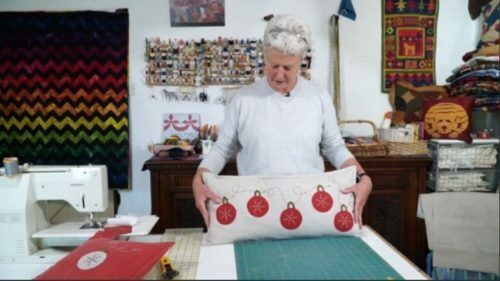 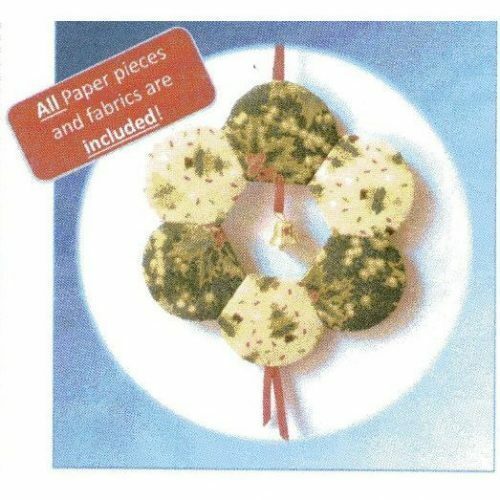 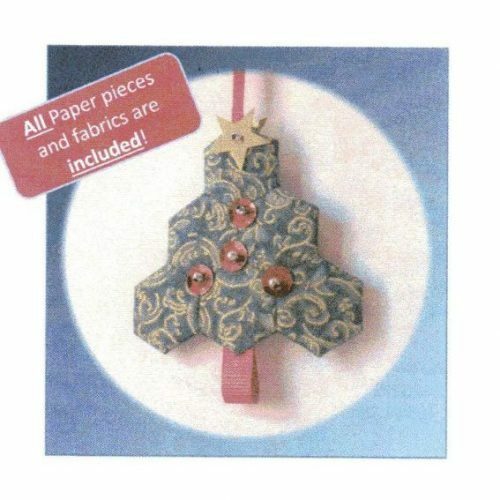 Some of the alternative fabics you can use – for example her black and white version used a jelly roll, and then she suggests thinking about a Christmas version, as well as maybe adjusting the size to create table mats. 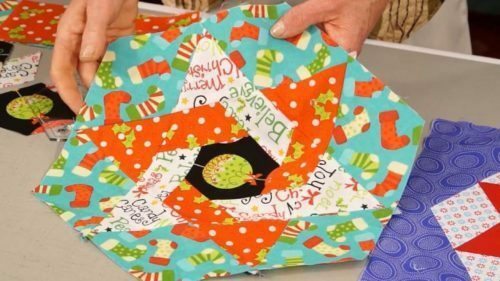 If you are not a subscribed member of Justhands-on.tv you can still download the free pattern by clicking here: but you obviously miss out on all the helpful advice mentioned above! 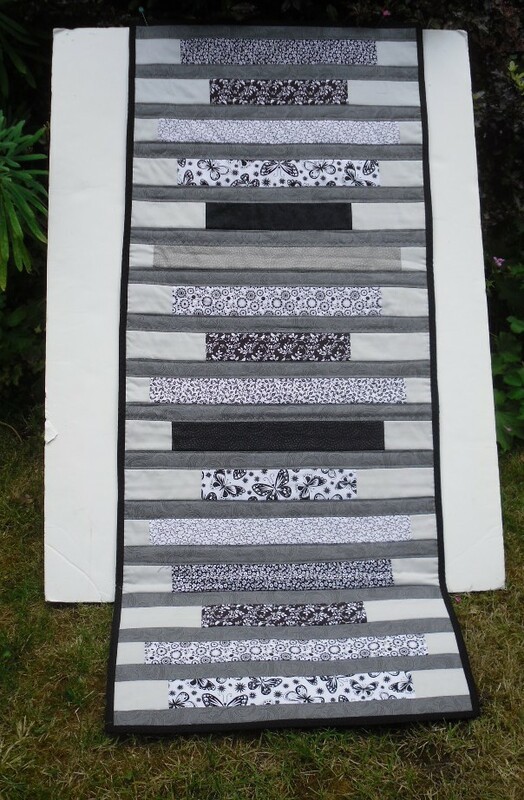 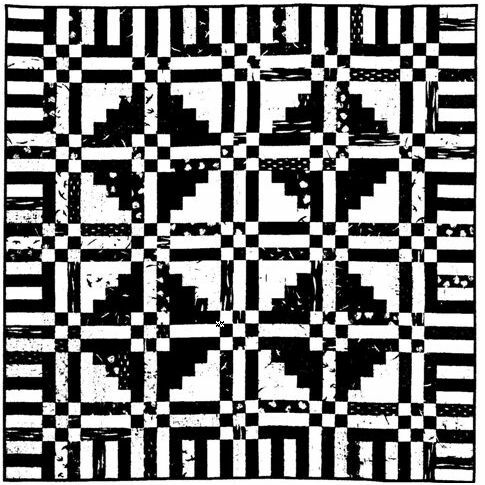 You can visit the Stof Blog by clicking here to find other patterns they have designed for use with their fabrics.